Sometimes life throws you a curve and you have to be resourceful to hit it back up the middle. And sometimes strangers cross your path that make you smile and see all that is good in the human race. A few weeks ago, I lost the planner that I use for both work and major home events. This planner has important work meetings,notes and some non routine home events and commitments. I was NOT happy about losing it. I received a call about 5 days later from a woman who said her husband had found it on the road about a half mile from my work. I must have driven off with it on my roof. She gave me her address and said I could pick it up after work. I drove to their home, which was in a rundown neighborhood full of duplex homes that had seen better days. I knocked on the screen door and saw a rather cluttered home at first but the smiles of the occupants quickly took over my view. I told them my name and they knew why I was there. A petite woman with full sleeve tattoos came out and handed me the planner. She said they knew it must have been important and that the owner was probably looking for it. (I had put my name and cell phone number in it.) I couldn’t thank her enough and walked back to my car with a smile on my face and a spring in my step that two people who couldn’t be more different from me had just gone out of their way to help a stranger. I’m going to drop off some toys for the children. 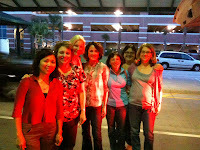 This past weekend, two friends and I began what was a girls’ weekend in Savannah. We’d planned it earlier in the year using vacation days that we typically save for concert trips. We’d even planned it so that we could leave from three different home airports, connect in Charlotte and take the same flight to Savannah. On Thursday morning, I headed to Hartford airport ready for a fun four days. These two friends came into my life through our mutual interest in Clay Aiken but they have become dear friends and we get together even during non concert times. It’s hard with homes in Massachusetts, Alabama and New Orleans but we’ve managed to always find a way to meet in the middle. Miraculously, we finally began to board and it looked like I was going to be able to make it. A last minute text from Peggy, now in Charlotte announced that not only was our flight to Savannah canceled but all flights to Savannah have been canceled. I frantically texted to her and TechMom to find a one way car rental. The rest of the afternoon was a wonderful experience that resulted from what could have been disastrous. Peggy and our other friend, Cissy managed to find four other women (all strangers to us and each other) who were in the same boat. I guess we all made a quick mental assessment and ruled out serial killers and decided to go for it. We rented a large Grand Caravan, picked a driver and a navigator (me, as I had my GPS) and boarded the airport rental bus for Alamo while beginning introductions. 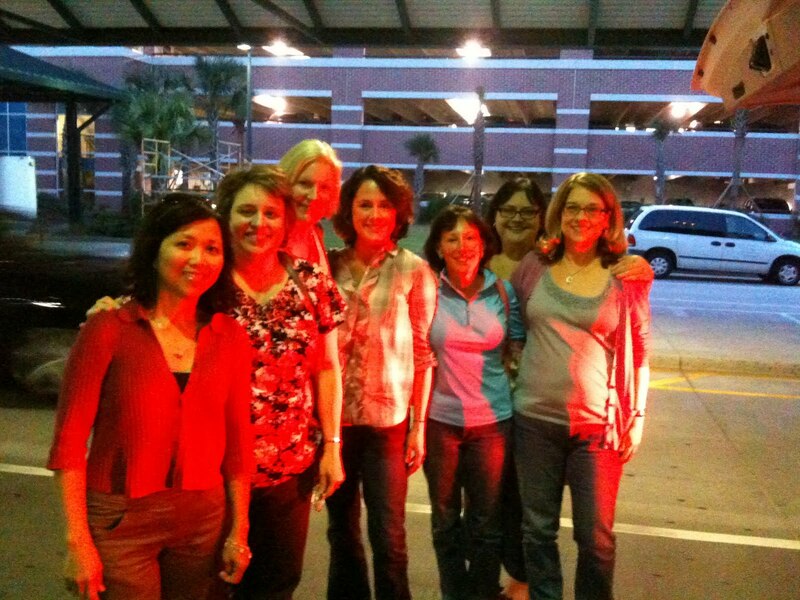 We crammed seven suitcases into the van, programmed Savannah airport into the GPS and headed out. Cathy-An obstetrician who also devotes a lot of time to her sorority at the national level. She voted for Ruben but we won’t hold that against her. In fact, we’ll send her some videos from the Timeless Tour. One of the girls asked us how we had met. It seems silly to say we met on a Clay Aiken message board in 2003, but we did. And he’s taught us about inclusion of children with disabilities, the plight of the night walkers in Uganda, how the simple acoustic version of a song by a great voice can soothe what ails you and how a common interest in a singer can not only bring you three wonderful friends but indirectly introduce to you, even for a few hours, four other extraordinary people that shined a little light into what had been a dismal day. We grabbed a guy at the rental drop off to take a quick snap with an iphone in bad light!